This project has been in the making for a very, very long time. 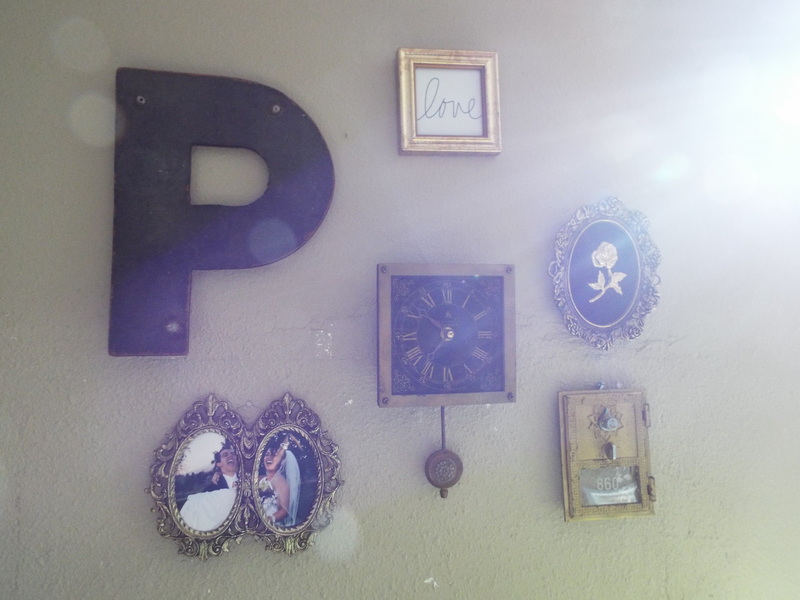 Every time I’d stop into the thrift store, I would be on the search for fun pieces I could incorporate into the gallery wall. I have been admiring gallery walls put together by some of my favorite bloggers and images that I have found on Pinterest, so this project was really fun for me. Once I gathered enough pieces to make the grouping substantial, I began playing with the layout, and really it’s all about balance and what looks good to you. Also very important, significance. Not each piece was given to me by a loved one, but each one holds significance. The pieces thrifted from the antique mall were picked up on a really fun day I spent with one of my dearest friends, Keely. The other thrifted pieces were gathered over time, so it reminds of how much I enjoy the hunt and finding the perfect pieces to bring into our home. What you enjoy doing is such a large part of who you are, and I love the part of me that likes breathing new life into old pieces. Looking up at this brings me joy, and I am so happy that it is finally up and enjoy the thought of adding to it over time. Here is the before, all laid out on the dining room table and without photos. 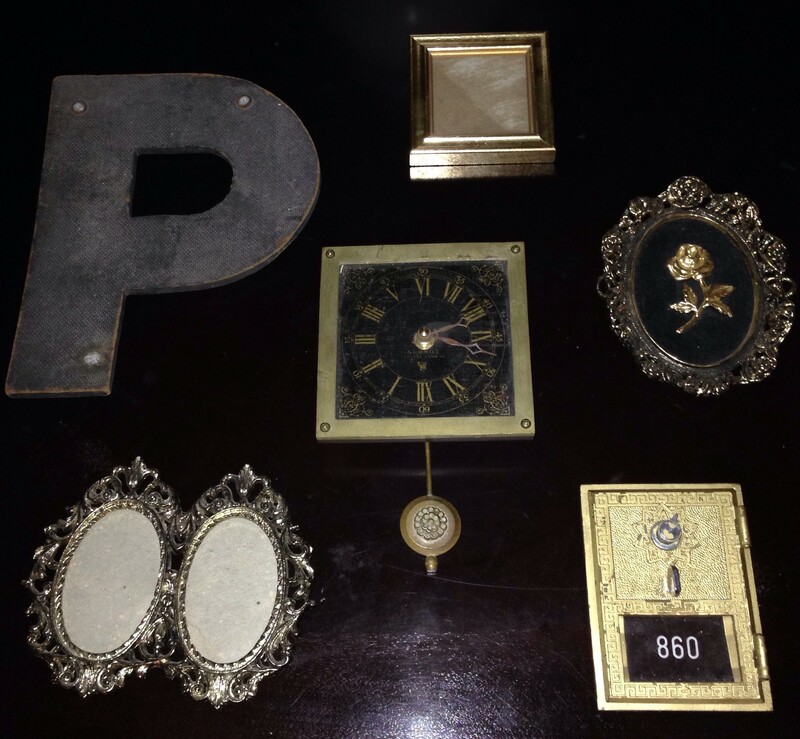 From the top left: the letter “P” was thrifted from an antique mall // the small gold frame was thrifted from Value Village // the framed gold rose set on black velvet was thrifted from Value Village // the vintage mailbox door was thrifted from an antique mall // the double frame was thrifted from Value Village // the black and gold clock in the center was a gift from my Dad. And, here it is on the wall, FINALLY. 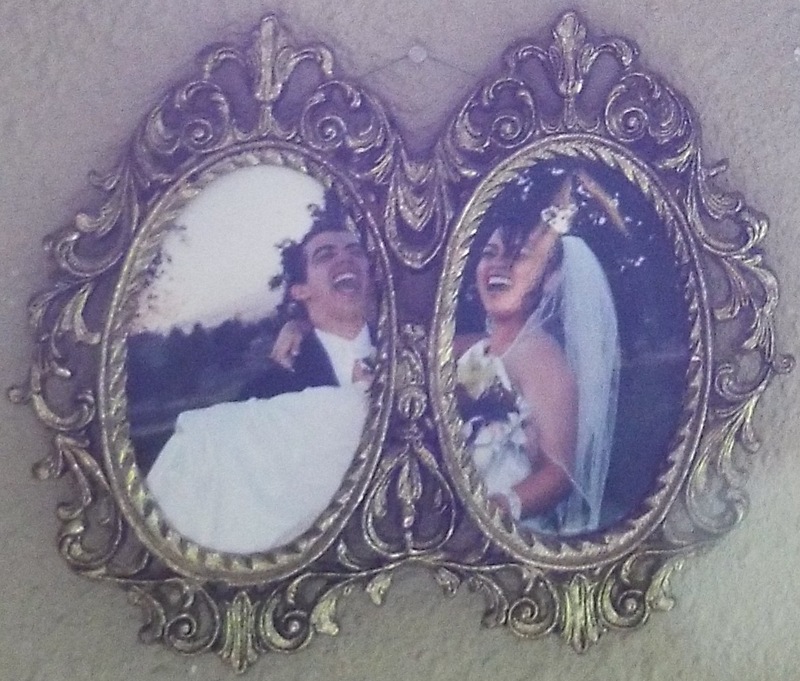 The top frame holds a simple print of the word “love”, and the bottom double frame holds a beloved photo of my husband and I on our wedding day. This is us. All of the posed wedding photos are nice, but in terms of capturing us as a couple, it’s this photo.